Oricon, a data compiling company specializing in providing data for the Japanese music/book industry, announced today the 2013 best-selling books annual rankings, which was compiled between November 19, 2012 and November 17, 2013. 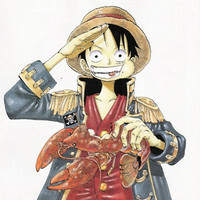 As expected, Eiichiro Oda's One Piece took the first place in the manga sales ranking again selling 18,151,599 copies in total. The manga has taken the top spot in 5 years in a row since 2009. It had 300 million copies in print with the 72nd volume which was released in Japan on November 1. The second best selling manga series is Hajime Isayama's Attack on Titan. Thanks to the high-quality TV anime series, it sold 15,933,801 copies, 6 times more than last year (2,683,000 copies). Check the Top 30 series/volume ranking below.